Many tasty recipes happen by accident and so it is with this one. I had nary been married a year in the Summer of 1984, I was so very young and fresh in the kitchen. But still, I found recipes and figured out how to do things and Hubby and I entertained. I didn’t have any tried and true recipes. Every dinner party was an experiment. But I was mostly a recipe-follower in those early years so the food was usually edible. I don’t recall exactly how this combination originated. I think it must have been some sort of pie or crumble that called for blueberries and Chambord liqueur. Chambord was something I didn’t have in the house so it was bought specifically for the dessert and I remember it because the expense of a liqueur was something I had to ponder. In the end, we didn’t rave over the blueberry-whatever-it-was so that recipe was quickly forgotten. But I had leftover blueberries mixed with Chambord that I put into a little jar in the refrigerator, not wanting to waste our precious purchases. And there it was forgotten for a day or two. I opened the jar to a most heavenly smell of sweet, syrupy fruit. I tasted one. Sheer delight. Spooned them over vanilla ice cream and the angels sang. Its’ absolute simplicity made it a go-to dessert for years to serve over ice cream or flan or anything sweet and creamy. 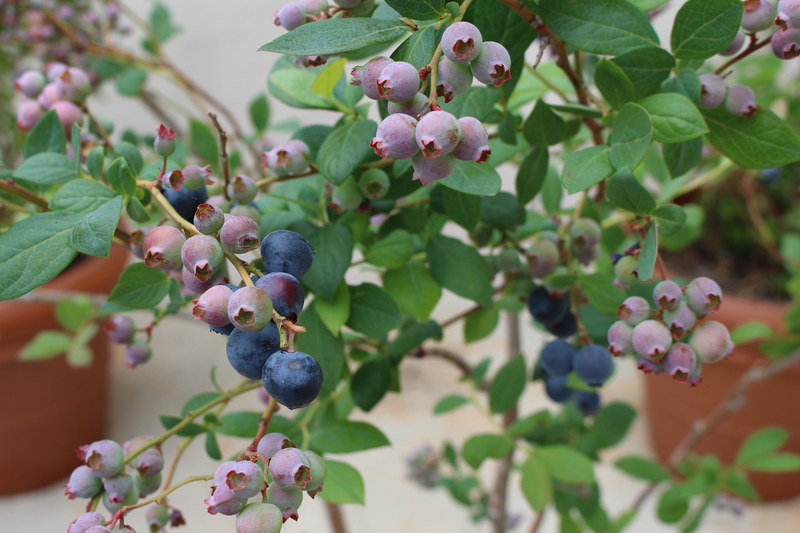 And now that I live in California and can grow my own blueberries, the sweet life is even sweeter. Mix blueberries and Chambord together. Cover and refrigerate for at least 24 hours. Frozen berries will have much more liquid and be more of a sauce. Fresh berries take a bit longer to infuse and may need a bit more Chambord to get the full flavor punch. Spoon over vanilla ice cream or any creamy dessert and garnish with mint.